The US Department of Agriculture (USDA) has announced the 2016 application and renewal period for the Conservation Stewardship Program (CSP), the nation’s largest conservation program for working lands. The program provides farmers and ranchers with annual payments for implementing specific conservation activities on their land. The USDA Natural Resources Conservation Service (NRCS) plans to enroll an estimated 10 million acres in the program with the $150 million in funding available for fiscal 2016. NRCS accepts applications for CSP throughout the year, but farmers and ranchers should submit applications by March 31st to their local USDA service center to ensure they are considered for enrollment in 2016. The initial CSP application consists of a simple form that asks for basic information regarding land ownership, type of production, and contact information. Producers with existing CSP contracts expiring in 2016 are eligible to receive a five year renewal of their contract if they submit an application by March 31st agreeing to adopt additional conservation activities on their land. Since 2015, NRCS has also been providing specific funding for enhancements to establish monarch habitat. 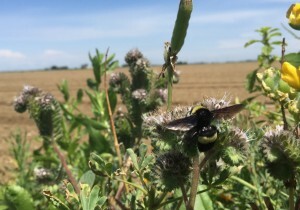 The agency created a special supplement to CSP’s Pollinator and Beneficial Insect Habitat Enhancement Activity that encourages planting milkweed and other plants with high-value nectar for monarchs. This enhancement is available nationwide. Additional NRCS funding for conservation practices to support monarchs is available in ten states along the main US monarch migratory pathway through the Environmental Quality Incentives Program (EQIP) and the Wetlands Reserve Program (WRP).